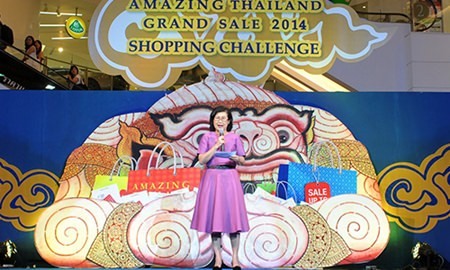 Bangkok, 30 June, 2014 – The annual Amazing Thailand Grand Sale enjoyed a memorable opening thanks to an exciting “Shopping Challenge” that got everyone in the mood for Bangkok’s three-month shopping extravaganza that opened on 15 June and will continue to 30 September, 2014. The fun, frantic and event-filled competition took place on 18 June, in Bangkok’s main shopping districts of Ratchaprasong and Siam. 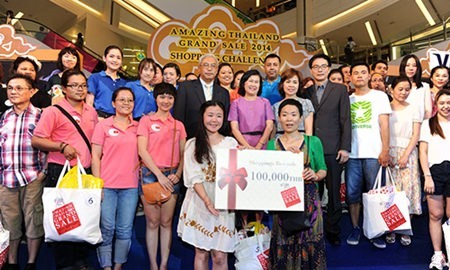 Fifteen teams of celebrities from 11 Asian countries raced round some of Bangkok’s best-loved malls including Siam Paragon, CentralWorld and Gaysorn to find bargains and win prizes. The eventual worthy-winners, Ms. Qu Wei and Ms. Wang Laijing, were the team from Beijing, China. Music and singing got the teams and crowd in the mood for the fun that was to follow. Mrs. Vilaiwan Twichasri, Deputy Governor for Tourism Products and Business of TAT announced the start of the very first Shopping Challenge. 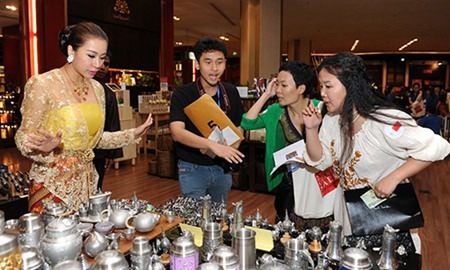 The judges await the first team back to Siam Paragon with their hard-won Bangkok bargains. Stress levels rise as the team from China finds it tough to decide which item to buy. It was a fun and challenging event but the final victory went to the bargain hunters from Beijing, China who shared a 100,000 Baht prize. 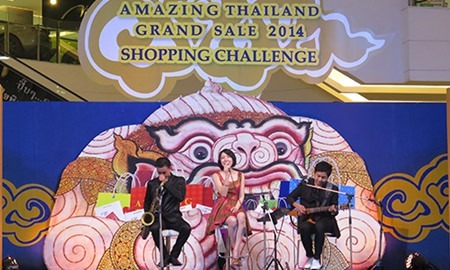 Next articleThailand’s annual shopping extravaganza opens to great fanfare!